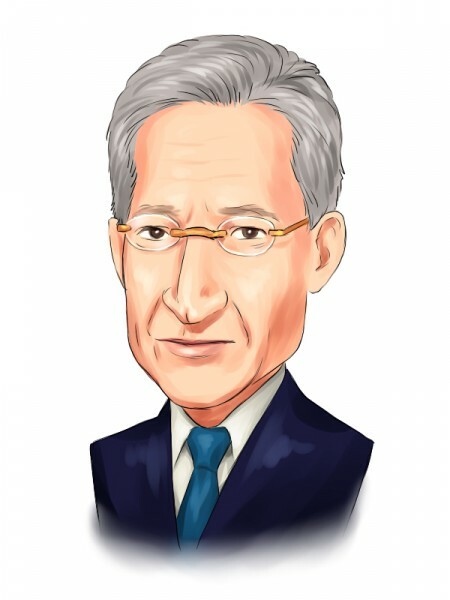 Billionaire Joshua Friedman and Mitchell Julis‘ Canyon Capital Advisors recently submitted its latest 13F filing with SEC for the reporting period ended June 30, revealing a long US equity portfolio worth $2.5 billion. The Los Angeles-based firm was founded in 1990 and currently manages assets worth over $20 billion. According to its latest filing, Canyon’s equity portfolio consisted of 42 holdings at the end of June and was considerably top-heavy with its top-10 holdings alone amassing over 70% of the value of the fund’s portfolio. The filing also revealed that during the second quarter the fund initiated a stake in 13 stocks, made additional purchases in three stocks, reduced its holdings in 23 stocks and sold off its entire stake in 16 stocks. In this post, we will take a look at Canyon Capital Advisors’ top-fice stock picks going into the third quarter [excluding EMC Corporation, which was recently acquired by Dell Inc.] and will analyze the recent performance of those stocks. Let’s begin with Brookdale Senior Living, Inc. (NYSE:BKD), in which Canyon lowered its stake marginally by 1% during the second quarter. Following the severe decline that it saw last year, Brookdale Senior Living, Inc. (NYSE:BKD)’s stock has largely been range-bound this year and currently trades down by 6% year-to-date. For its fiscal 2016 second quarter, the company reported a per share loss of $0.19 on revenue of $1.26 billion, versus analysts’ expectation of a per share loss of $0.12 on revenue of $1.23 billion. On August 24, analysts at JMP Securities reiterated their ‘Market Perform’ rating on the stock, but lowered their price target on it to $29 from $30, which represents a potential upside of 67.5% from its current trading price. The number of funds tracked by us that are long Brookdale Senior Living declined by four to 41 during the second quarter, while the aggregate value of their holdings in it fell by $187 million to $964.45 million. Amid a 7.4% rise in Berry Plastics Group Inc (NYSE:BERY)’s stock during the second quarter, Canyon Capital Advisors lowered its holding in the company by 4%. Shares of the plastic consumer packaging provider have appreciated by 24.3% so far in 2016 and are up 196.33% in the last five years. Last month, the company announced that it has agreed to purchase AEP Industries (NASDAQ:AEPI) in a cash and stock deal valued at $765 million, including debt. Although analysts who track Berry Plastics Group Inc (NYSE:BERY) have appreciated this deal, some of them are concerned about the high leverage at which the company operates currently and the impact that this deal will have on its balance sheet. On September 13, analysts at JPMorgan Chase & Co. initiated coverage on the stock with an ‘Overweight’ rating and a $54 price target. During the second quarter, the ownership of Berry Plastics Group among funds tracked by us increased by four to 53 and the aggregate value of their holdings jumped by $67 million to $1.34 billion.